This could be the ultimate in glass recycling. A temple in Bangkok, Thailand made with over 1.5 million bottles. 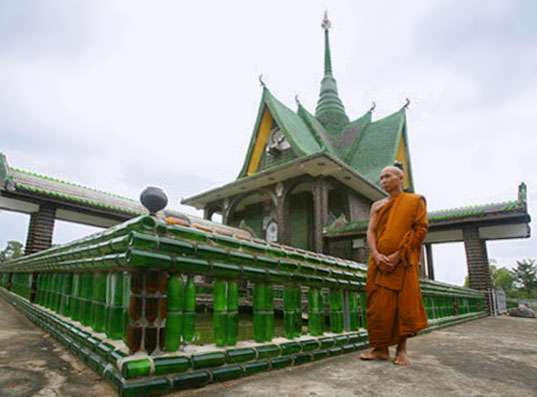 Check out the web site Trendhunter Eco to see the Wat Pa Maha Chedio Kaew temple and all of those bottles. Amazing! And they’re not done yet. The monks at the temple are always looking for more bottles. So cool! !